Rosie Revere is no stranger to flops and fails, kerfuffles and catastrophes. After all, engineering is all about perseverance! But this time, Rosie has a really important project to tackle — one that feels much bigger than herself. 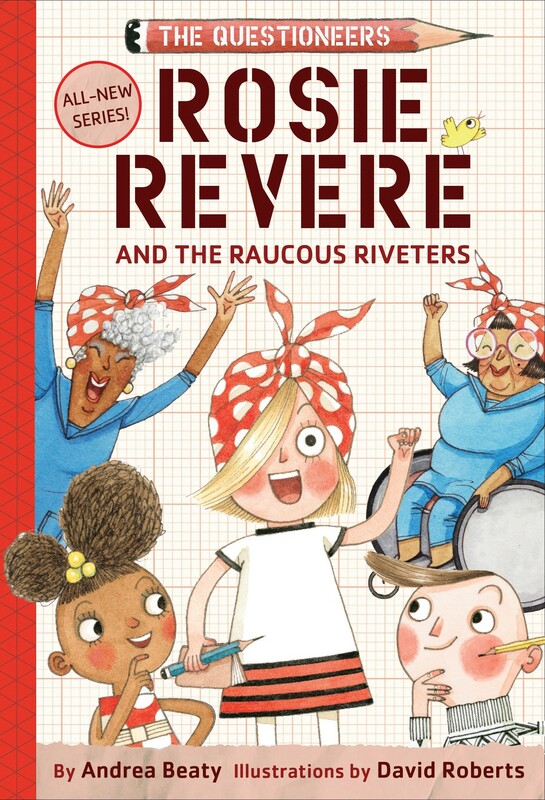 Rosie's beloved Aunt Rose and her friends, the Raucous Riveters — a group of fun-loving gals who built airplanes during World War II — need help inventing something new. And Rosie is just the engineer for the job! After one flop... then another... and another... Rosie starts to lose hope. But thanks to some help from her fellow Questioneers Iggy Peck and Ada Twist, Rosie gets the job done. And, along with the Riveters, she rediscovers the meaning of home. 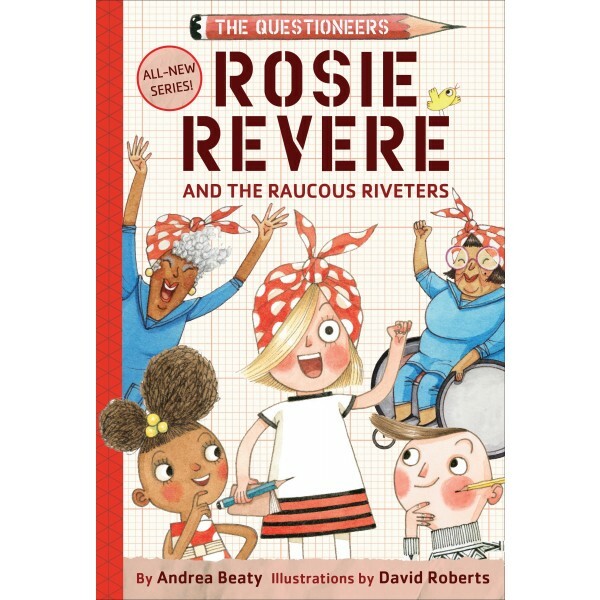 This early chapter book by the author of the beloved picture books Rosie Revere, Engineer and Ada Twist, Scientist is a spirited introduction to the Questioneers series.